Caijing’s Hu Shuli is Back in Action! 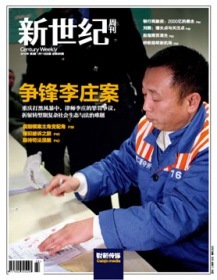 Hu Shuli 胡舒立, founder of Caijing Magazine stepped down back in November. Hu Shuli is known to have backing from the CCP Standing Committee, enabling her to safely report on policy, corruption, law and human rights from a relatively independent perspective. Her situation is quite unique in China. In September last year, Hu Shuli started stepping away from Caijing due to editorial constraints that were starting to impact the magazine. The scope of coverage started tightening in July, not due to editorial, but due to the magazine’s chief investor (Wang Boming 王波明) calling for caution. The All-China Federation of Industry and Commerce/中华全国工商业联合会, the party-led organization of businessmen that holds the magazine’s publishing license. Desk editors told reporters they wouldn’t be running any politically controversial stories — indefinitely. The move was related to the general restrictions of all forms surrounding the Oct 1st, 60 year anniversary of the CCP. Our worries seem to be over. This wasn’t a long term crackdown on transparency. It was only only an admission of frailty in preparation for the 60th anniversary military parade. Previous PostRTM: Add Tasks via the Menu BarNext PostChina Bubble? Jim Rogers “No”. Jim Chanos “Yes”. I carry on listening to the rumor speak about getting boundless online grant applications so I have been looking around for the best site to get one. Could you advise me please, where could i acquire some?